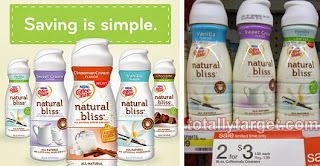 Head over to your nearest Target to get Coffee-Mate Natural Bliss for only $0.95! Yummy! What a deal! $0.95 a piece after coupons!